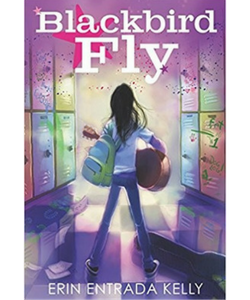 Readers of all ages will explore all things musical this summer as the Chickasha Public Library presents “Libraries Rock” during their free summer reading program, which kicks off on May 31st with sign-ups from 9:30 am to 6:00 pm at the Library 527 W. Iowa Ave. The program is every Thursday in June & July at the library; Children and teens are not required to attend every session. We know summers are a busy time for families so come when you can. The most important thing is that your child reads over the summer, this will help them retain the knowledge that they have gained throughout the school year leaving them ready to learn next year. To encourage this when they sign up, they will receive a log to keep track of their minutes spent reading. They turn those sheets in when they attend a program and earn incentives based on the minutes spent reading. 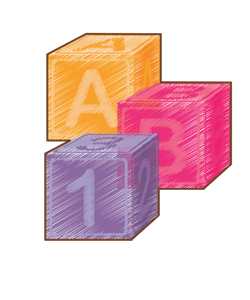 The Library offers multiple sessions to work with busy summer schedules; there will be two sessions to pick from for ages 6-11 one at 10:00 am and one at 2:00 pm. There will also be a tweens session at 4:00 pm for ages 10 and up. Youth, age 10 to 11 and their parents, can choose which program they wish to attend the children or tweens. Activities will include reading, group games, musical crafts, and more. There will also be multiple performers throughout the summer. For more information, call the library at 405-222-6075. The Summer Reading Program is free and is made possible in part by the Institute of Museum and Library Services, “The Institute of Museum and Library Services is the primary source of federal support for the nation’s 123,000 libraries and 35,000 museums. Our mission is to inspire libraries and museums to advance innovation, lifelong learning, and cultural and civic engagement. Our grant making, policy development, and research help libraries and museums deliver valuable services that make it possible for communities and individuals to thrive. To learn more, visit www.imls.gov and follow IMLS on Facebook and Twitter.” Funding was also provided by the Oklahoma Department of Libraries, The Friends of the Chickasha Public Library, and the Chickasha Public Library. Spring is here and that means it’s time for the Chickasha Public Library’s Community Room to be overflowing with BOOKS, BOOKS, and more BOOKS! The Friends of the Chickasha Public Library will be hosting its annual spring $1 Used Book Sale from Thursday through Sunday, April 12-15, 2018. The BOOK SALE is open to the community on Friday, April 13, from 10 am-6 pm; Saturday, April 14, from 10 am-2 pm; and Sunday, April 15, from 1 pm-4 pm. REMINDER … for all current members of the Friends of the Library! As a bonus for being a member, YOU may browse and purchase EARLY at the Preview Book Sale on Thursday evening, April 12, from 5 pm-8 pm. NOT A MEMBER? Annual membership fees are ONLY $5 for Individuals, $10 for a Family and $25 to be a Patron! You can purchase a Friends’ 2018-19 membership at the door on Thursday evening, April 12. That membership will enable you to visit and shop at the Preview Sale and other Book Sales in the 2018-19 year. This spring you’ll find that Saturday is ‘Bargain Day’ with books on sale at half-price or $3 a bag. The bags will be provided. Also, the books on Sunday are an even bigger ‘Bargain’ … they are ‘FREE’. Among the items for sale are Children, Teen, and Adult Fiction, Reference Materials, Non-Fiction Books as well as some DVDs and Book CDs. Two special features of this year’s Spring Used Book Sale are a daily free ‘Drawing’ for books and a ‘Silent Auction’ featuring several very special books. There will also be some vintage (antique) books available for purchase. Proceeds from the book sale will be used to purchase new books and materials for the Library! 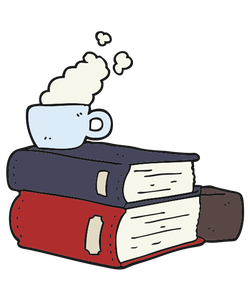 The Friends of the Library committee is asking for volunteers who can share a few hours to help with the Book Sale – during and/or after the sale. If you enjoy organizing, interacting and working with others, as well as rummaging through tables filled with books in search of a treasure … this SALE is for you! To sign up to volunteer call 779-6969 to schedule a time. As a THANK YOU for assisting, volunteers may select a total of five reading and/or listening materials each time they work a two-hour shift. Individuals, organizations and service clubs do not have to be members of the Friends of the Library to volunteer at the Spring Used Book Sale. Membership fees and financial donations may be brought to the Library or mailed to Friends of the Library, P.O. Box 265, Chickasha, OK 73023. Include your name, mailing address, phone number and email address, if available. 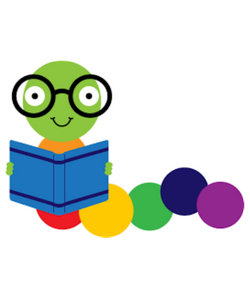 Chickasha Public Library will conduct a Spring Reading Program for elementary school children, ages 4 and up, beginning April 2nd through April 6th. Care will be provided at no cost from 8 am – 6 pm Monday through Friday with breakfast and lunch provided. Parents must pre-register their children in person on Thursday, March 29th 3 – 8 pm, Friday, March 30th 9:30 am – 6 pm, or Saturday, March 31st 10 am – 2 pm. The children will be safe and fun activities will be provided. There will be lots of reading, games, and crafts. The Library is located at 527 W. Iowa and the phone number is 222-6075. 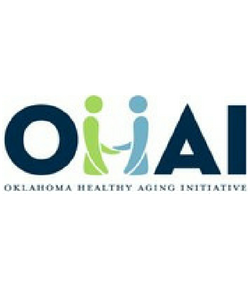 The Chickasha Public Library and the Oklahoma Healthy Aging Initiative (OHAI) are collaborating to provide the Eye Ball 101 workshop for older adults and their caregivers. Eye Ball 101 is a 1-hour program designed to educate older adults about the four major eye diseases that affect us as we age. It is the result of a collaboration between the Oklahoma Healthy Aging Initiative and the Dean McGee Eye Institute in Oklahoma City. The workshop will be from 2:00 p.m. – 3:00 p.m. on Thursday, March 29th, 2018, at the Chickasha Public Library at 527 W. Iowa, Chickasha, OK. This class is offered at no cost to participants and is open to the public, but class size is limited and pre-registration is required. To receive additional information, contact OHAI’s Central Center of Healthy Aging at: (405)271-6424 or centralOHAI@ouhsc.edu. To register, contact the Chickasha Public Library at: (405)222-6075. How can Legal Aid Help? Legal Aid provides free and low-cost services to eligible low-income people and senior citizens. Starting February 23rd from 12:00 pm – 1:00 pm. Learn more about Legal Aid Services and get some tips on navigating your legal issues. This will be a start of a FREE series of Legal Aid Learning opportunities held at the Chickasha Public Library 527 W Iowa Ave. You are welcome to bring a lunch. For more information and to register please call the Library at 405-222-6075. 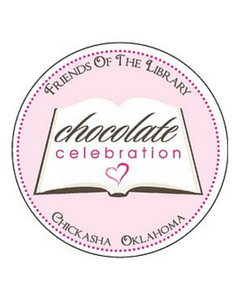 The Friends of the Chickasha Public Library’s annual Chocolate Celebration is coming up quick. The event will be held on February 13th at Epworth Church Life Center (4th & Iowa, Chickasha OK, 73018) 5:00 pm to 7:00 pm. 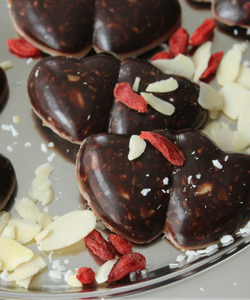 The Chocolate Celebration is a perfect opportunity to get your special Valentine a box of chocolates. Tickets are 6.00 dollars which allow you to choose up to six servings of chocolate. The Friends will begin selling tickets January, 10th. There is still time and opportunities to help the Friends of the Library with the Chocolate Celebration. The Friends are still looking for table sponsors, and if you are interested in helping on an individual basis, Bake Sale items are needed for the event. These are individual items for sale, such as whole cakes or pies, plates of cookies, etc. (Must be, or contain Chocolate). If you are interested in helping with the Chocolate Celebration, please contact Angie Lewis by phone or email, 405-779-6969 (no texts) angieslewis13@gmail.com. Every year the money from the Chocolate Celebration goes toward the library. This year proceeds go towards updating the children’s technology center. The library has a special guest visiting until December 21st. Children can visit the library and find the elf on the shelf, and add their names to the drawing for a chance to take the elf home at the Elf on the Shelf party on December 21st 3:00 pm to 4:00 pm. For more information, please call the library at 405-222-7075. The value of the food does not have to equal the amount of the fine. Any donation will cover any fine. However, if a book has been lost, the replacement cost of the book must be paid. Only the fine itself will be waived. The program will run through December 31st. For more details, call the Chickasha Public Library at 222-6075.